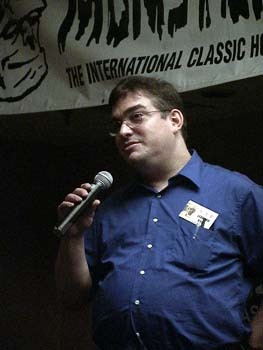 The 2006 Monster Bash featured Guests of Honor Bert I. Gordon, Zacherley, Richard Gordon, Yvette Vickers, Kenny Miller, Susan Gordon, Charles Herbert, David "The Rock" Nelson, Ghoul A Go-Go, Robert Tinnell, Basil Gogos, Tom Savini, Cortlandt Hull, Forrest J Ackerman and many others. 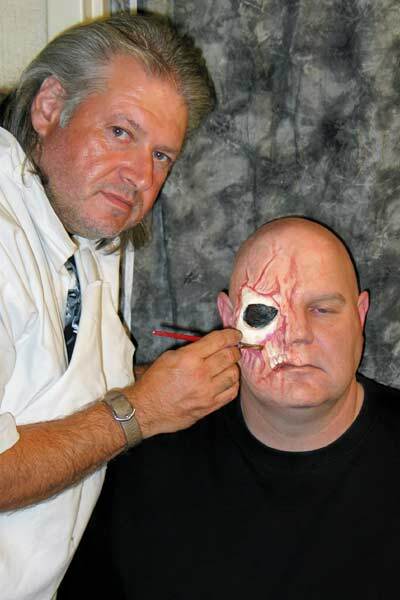 Ron Chamberlain, Monster Bash Make-Up Master, re-created the LONDON AFTER MIDNIGHT vampire utilizing the original hat worn by Lon Chaney (provided by Forrest J A ckerman). 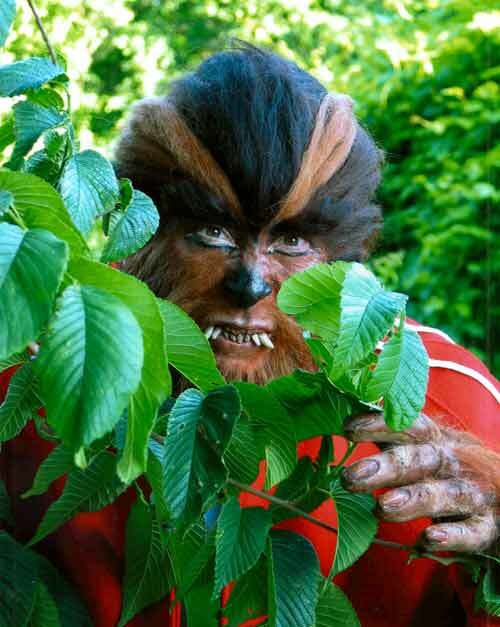 Plus, there was a Teenage Werewolf, Teenage Frankenstein and even a Colossal Beast! Photos provided by Barb Heiss, Charles Henson, Kevin Slick, Jim & Marian Clatterbaugh, Pat Gonzalaz, Robert Taylor, Karl Spisak, Larry Ruggiero, Jerry Armellino and Susan Gordon. 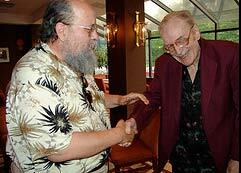 Monster Bashing, it's Robert Taylor of Sunman, Indiana shaking the hand that shook the hand of Boris Karloff, Bela Lugosi, Lon Chaney Jr. and many others - the hand of Forrest J Ackerman! 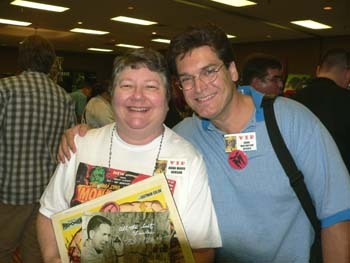 Kyle Nance and Robert Taylor enjoying the Monster Bash community. 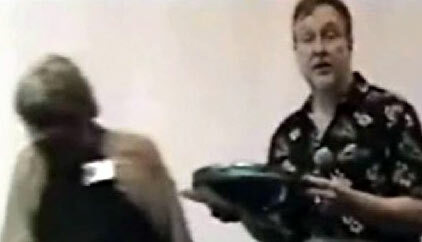 Anna Marie Henson and Brian Nikels, old pro Monster Bashers! 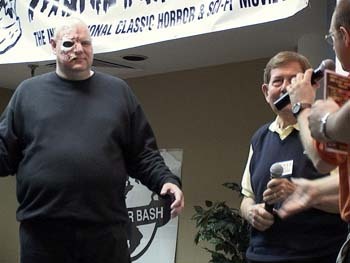 The Colossal Beast arrives (Don Reese, make-up by Ron Chamberlain)- director Bert I. Gordon and Ron Adams on the right. 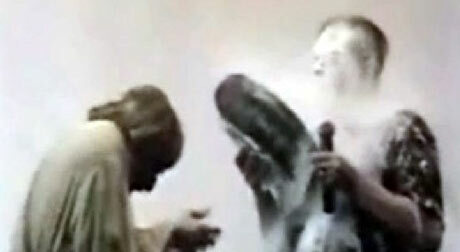 The serious side of good-hearted Lenoard Kohl - master serial film king. 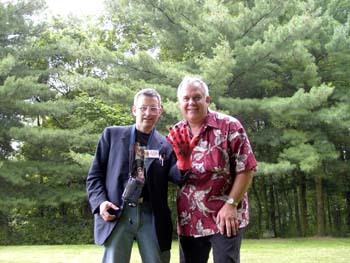 David "The Rock" Nelson and Charles Henson outside at Monster Bash 2006. A new monster movie in the making at Monster Bash. David "The Rock" Nelson in action.....cut, cut, cut! Sorry, standing room only as Bob Pellegrino leads everyone in the song from FRANKENSTEIN MEETS THE WOLF MAN! In the orange, Monster Bash staffer Michael Whelan, Gita Jenkins and Barb Heiss. 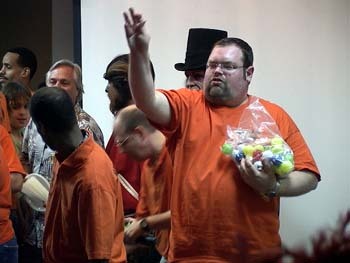 It's the free stuff toss, Saturday at midnight. 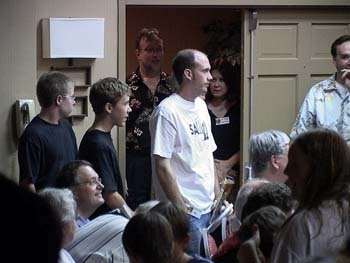 In the foreground, Monster Bash staffers Eddie Curtis and Leonard Hayhurst. 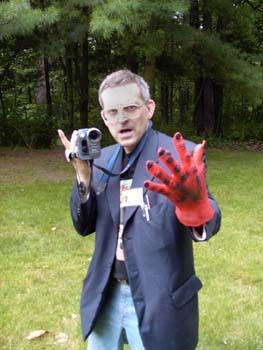 A beautiful study of Mark Statler as the Teenage Werewolf at Monster Bash 2006. Make-up by Ron Chamberlain. The line-up! 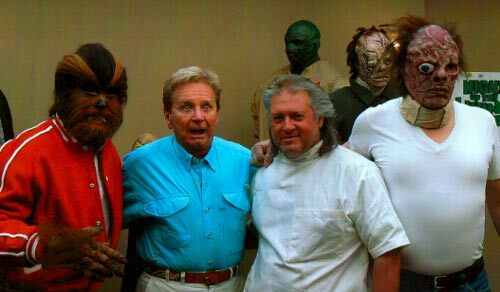 : Mark Statler (Teenage Werewolf), shocked Kenny Miller (actor from I WAS A TEENAGE WEREWOLF), Ron Chamerlain (make-up artist), Bill Edwards (Teenage Frankenstein). 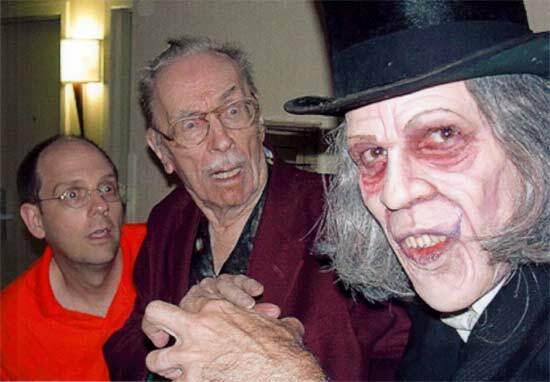 Monster Bash's Ron Adams, Forrest J Ackerman and the LONDON AFTER MIDNIGHT vampire (Kevin Slick in make-up by Ron Chamberlain). 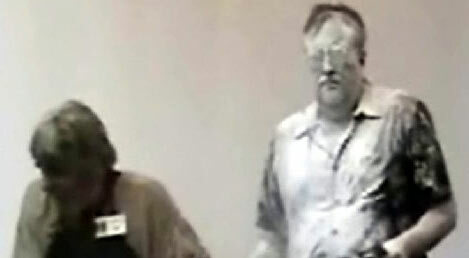 Ron Chamberlain creates an amazing Colossal Beast out of comedian Don Reese! 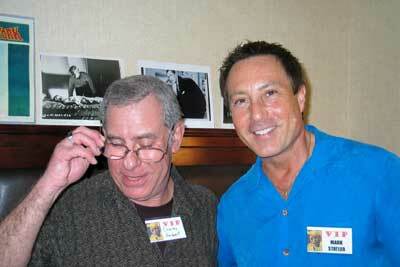 Actor Charles Herbert (13 GHOSTS) and Bash attendee Mark Statler. 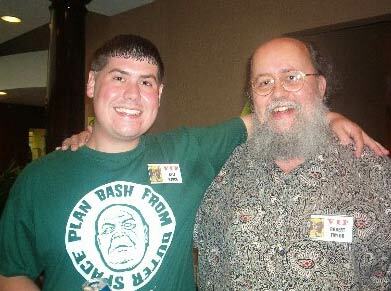 More Photos from Monster Bash 2006 - CLICK HERE! 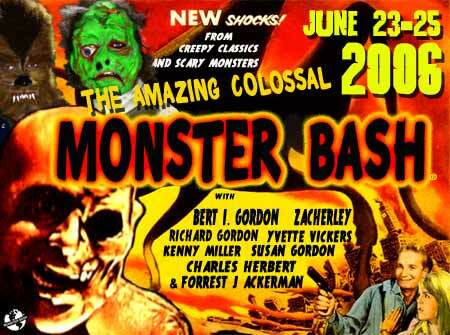 Monster Bash has brought you great guests like: Chris Costello, Butch Patrick, Cortlandt Hull, Caroline Munro, Jane Adams, Bob Burns, Dolores Fuller, Beverly Garland, Ben Chapman, Ray Harryhausen, Carla Laemmle, Forrest J Ackerman, Sara Karloff, Bela Lugosi Jr., Ron Chaney, Dwight D. Frye, Gary Don Rhodes, David Skal, Elena Verdugo, Tom Savini, Chilly Billy Cardille, Richard Valley, David Prowse, The Blob!, David "The Rock" Nelson, Conrad Brooks, Kyra Schon, Karl Hardman, Marilyn Eastman, Bill Hinzman, John Russo, Russ Streiner and many, many more to come!